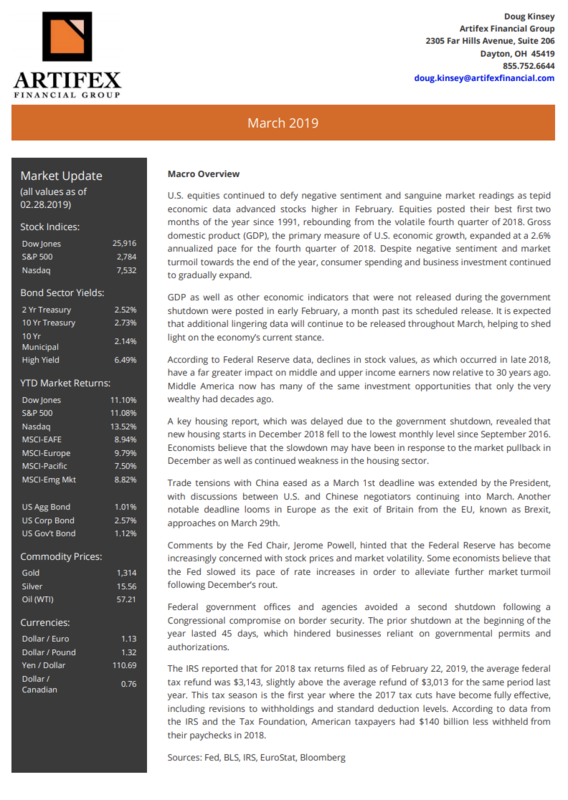 rally and posted very strong gains in the first quarter of 2019. 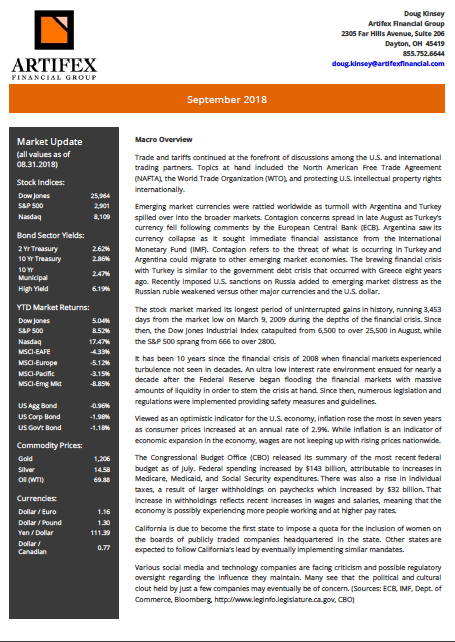 Broad domestic benchmark indexes were standouts, but International and Emerging Market equities also delivered solidly positive numbers. US investors, especially, were cheered by the Federal Reserve’s decision, announced in late January, to suspend the program of scheduled ¼% increases in their Fed Funds rate that had through 2018. World equity prices have extended their January uptrend over the past two weeks. 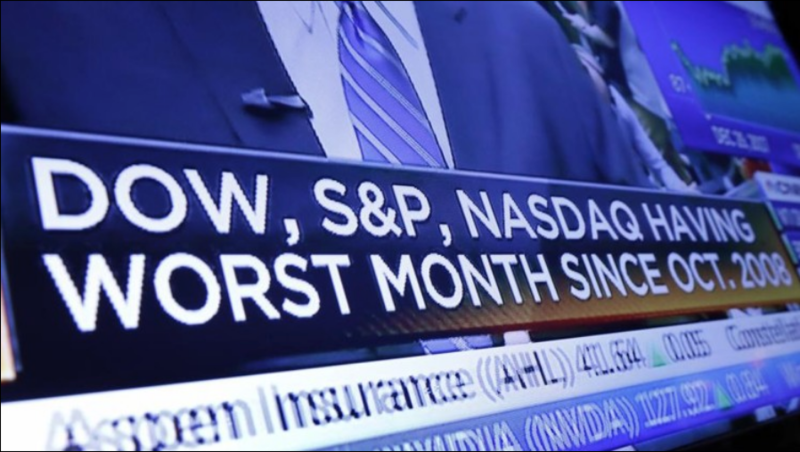 Most broad-based indexes have recovered more than 50% of the declines that ended on December 24, 2018. Progress on resolution of trade disputes with China and reduced anxiety over the course of short-term interest rates appear to have flipped investor sentiment 180° from late December. A new year lies before investors. Most were happy to see the end of 2018 with its staggering volatility and almost commonplace 1-2% intraday swings. 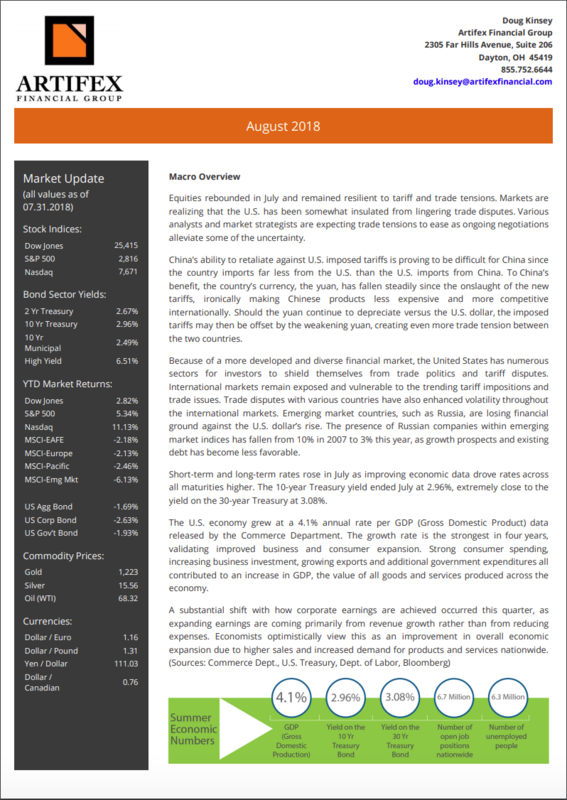 In this essay, we attempt to identify economic and political trends across the globe that can be expected to be among the key components of decisions to buy or sell equities in 2019. Equity prices reflect the collective opinions, hopes, fears and experiences of market participants. News is disseminated virtually instantaneously and reflected in prices without delay. 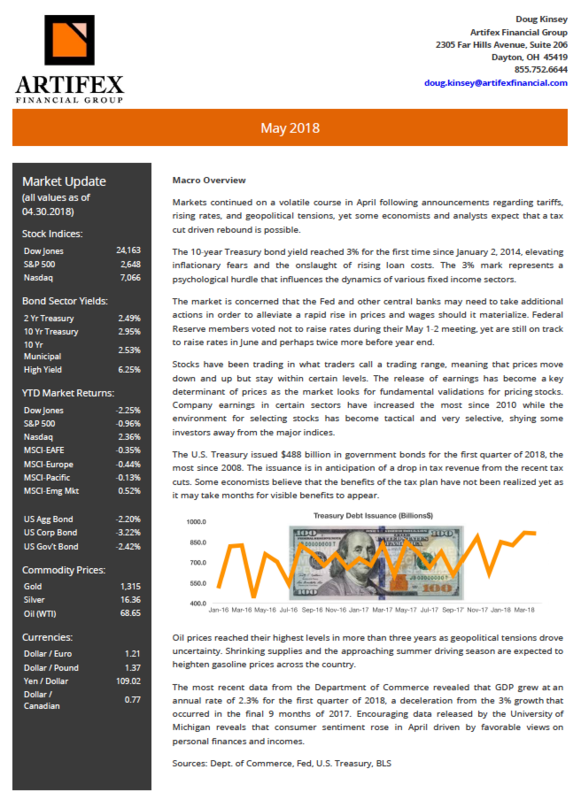 While we cannot foresee how, or which future developments will most affect the equity markets this year, it is useful to be aware of trends that could be germane to investor decisions. 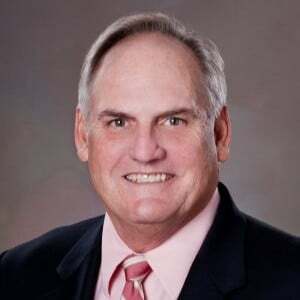 Our Chief Investment Officer and Partner, Doug Kinsey, was quoted in the Dayton Daily News yesterday. We offer it below for your review. Best wishes to all for a Happy New Year and prosperous 2019! 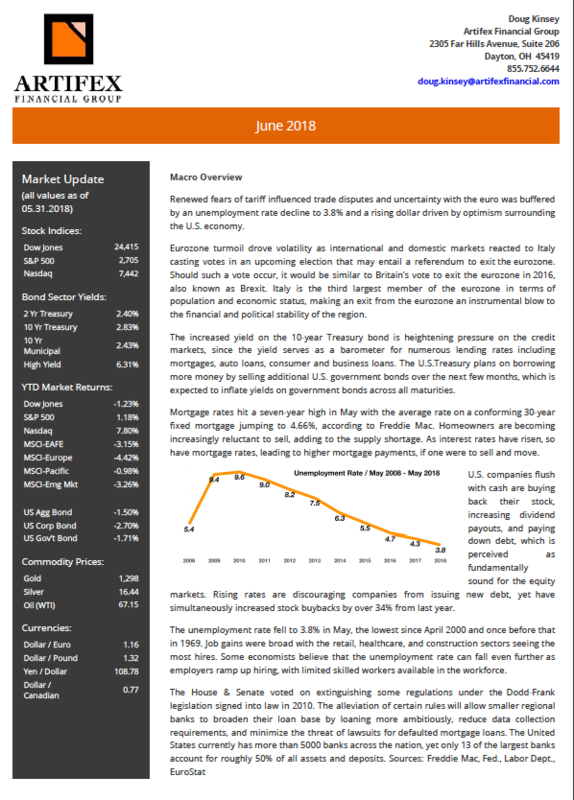 Our periodic newsletter is published and ready. The New Phone Book's Here!!!! 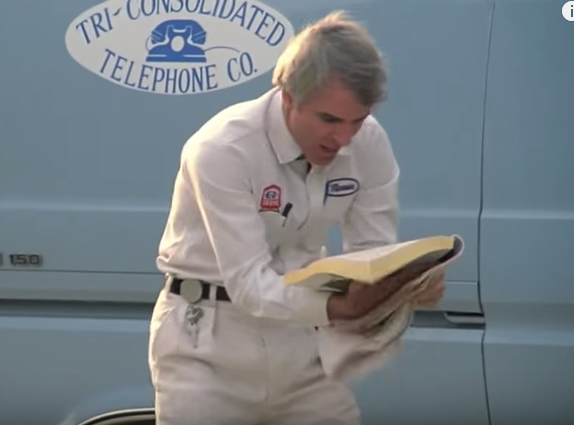 Well, maybe not the new phone book, (for those of you who remember the Steve Martin movie, "The Jerk", and this famous scene: The New Phone Book's Here!) but the new Matrix Book from Dimensional Fund Advisors IS here. Why that's exciting for us. We at Artifex believe in enhancing the wisdom of our clients and readers. While most of our topics will be related to investments, personal finance, and the economy, we also endeavor to include thought-provoking commentary on topics that will help you expand your "mental models", as referred to by Charlie Munger and Warren Buffet. We want you to learn from us and others how to think logically and see the world through an informed lens. Please join us on this journey! 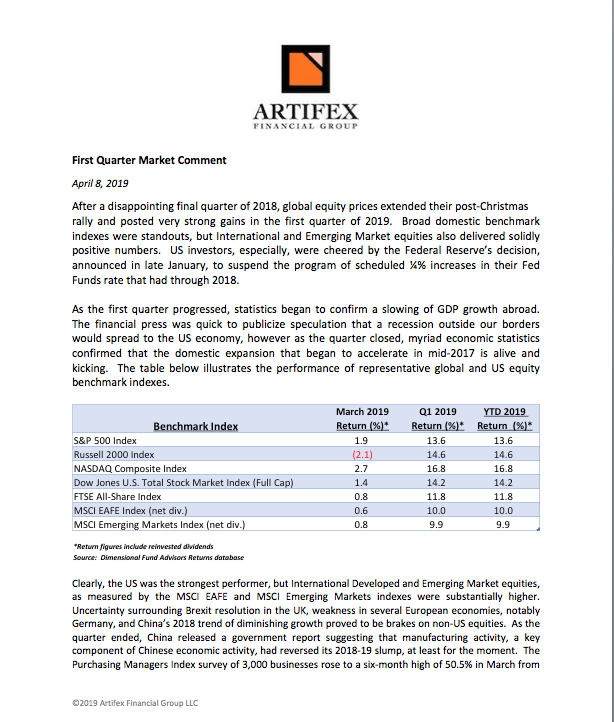 © 2006 - 2015 Artifex Financial Group. All Rights Reserved.